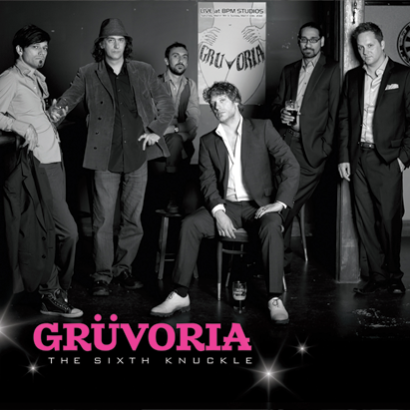 The title of the new record references both Purdy’s unique guitar style and his experience as a highly trained karate sensei and educator; the sixth knuckle is below the baby finger where the hand meets the wrist, and is one of the strongest & most resilient places from which to strike an opponent. The album was recorded live off the floor over a two-day span at the Purdy Centre for the Arts dojo in King Township, Ontario. In addition to the original songs, the album features covers of ‘Times Like These’ by Dave Grohl (Foo Fighters), the Headhunters classic ‘Daffy’s Dance’ and ‘Friar Laurence’ by legendary classical composer Sergei Prokofiev. Yes, you read that correctly -- a jazz-funk version of Prokofiev! 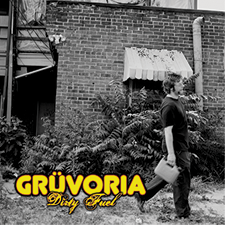 The album that put Grüvoria on the national map across Canada! 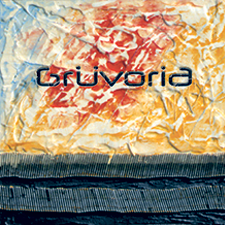 Grüvoria's 1999 debut album -- a jazz-funky blast from the past!